Interior design satisfaction truly goes a long way. 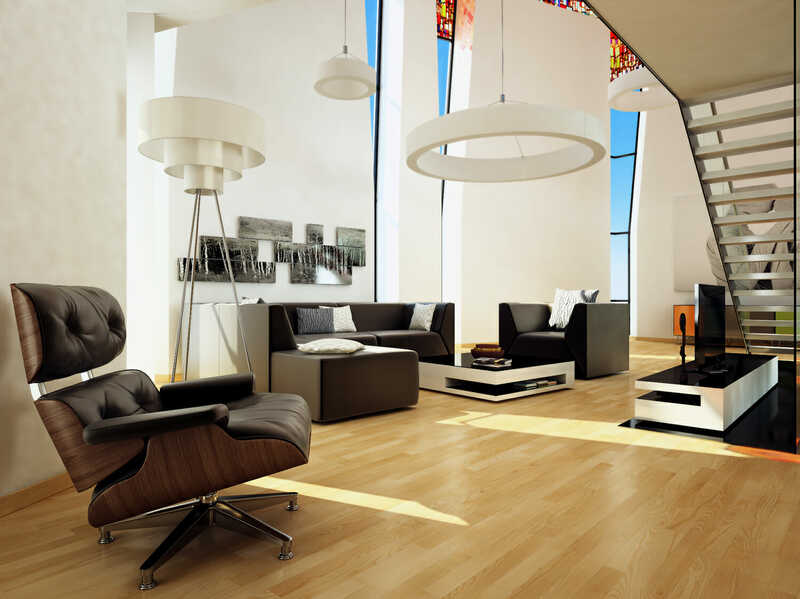 It’s one thing to be able to kick up your feet in your space and relish in the style that represents and suits you. It is quite another to feel that appreciation from your guests. Being able to evoke comfort, curiosity, and accolades through your interiors contributes to design inspiration and love of spaces. To get the oohs, ahhs and be a topic of conversation or ice breaker, here are 13 ways to wow your guests with design inspired by tips from esteemed experts who definitely know what they’re talking about. 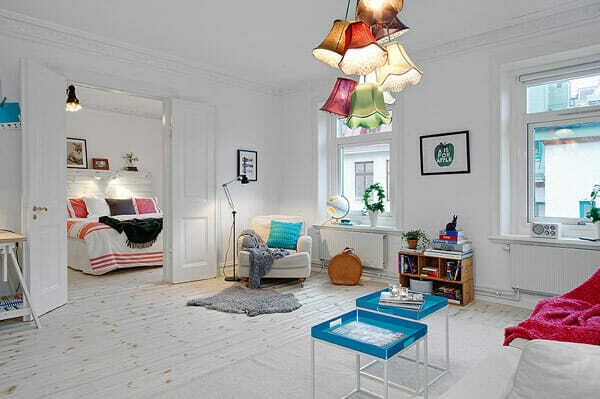 Lighting can really make or break an interior design. Having varied sources like floor, table, and ceiling lamps offer an interesting lighting plan while providing a space with accent, ambient, and task illumination as needed. Pendant lamps are like suspended pieces of art. Selecting ones that either call attention to themselves or hang subtly aside bring the visual focus upward and can often complete a space. Just have a look at featured Berlin apartment of Karena Schuessler for an example of a gorgeous interior that takes pendant risks. There is no doubt that global styles infuse a space with aesthetic charm and beauty. Whether you’re adding a beautiful hand woven table runner from Laos or making an online purchase of lovely fair trade Moroccan ceramics, having accent pieces from other parts of the world really provides richness to an interior space. For more inspiration, follow Igor of Happy Interiors Blog who makes it a habit of sharing global finds on his trips. New online tools and websites are making it easier than ever to plan your decorating projects, get competitive pricing, and “try it before you buy it”. Decorilla, on online platform, makes online decorating easy, fun, and affordable by allowing you to preview multiple design concepts customized for your room so you can be sure to find the style you love. Design trends come and go; make your space look fabulous without spending all of your savings. Impress your guests with lovely pieces found online sales (Joss & Main, Fab, One King’s Lane are great at this) or by refurbishing an old piece into something feeling new. Design blogger, Lynda Quintero-Davids from Focal Point Styling emphasizes her brand on budget minded sophistication. In her years of experience, she learned the art and appreciation in thrifting for savvy and creative home styling. Her designs wow spaces without making too much of an exclamation on the bank account. A space can be impeccably stylized with color, texture, and placement in mind but if there’s no bling, something’s missing. Blogger and interior stylist, Justina Blakeney asserts that having a shiny eye-catcher like brass, bronze, or crystal really adds to the designed vignettes. You can learn about Justina’s other styling tips on her Skillshare class, the 8 Principles of Styling. #6. Don’t be afraid to dress the walls. 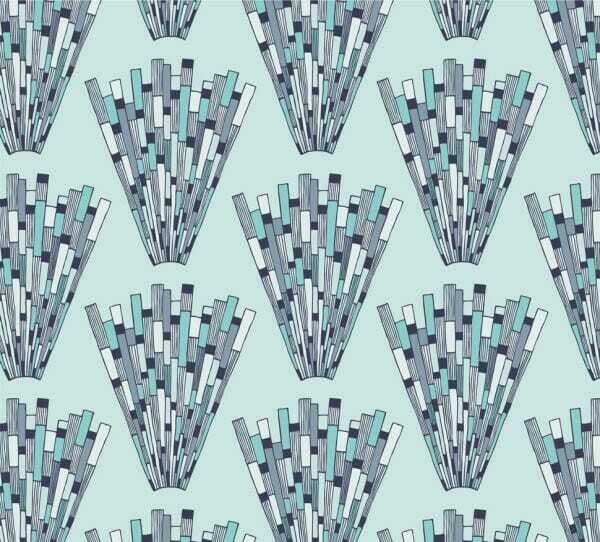 Wallpaper design has evolved where patterns and color are statement pieces. Spotted on Design Milk, this new wallpaper collection “geology” from Interiors by Element proves that abstracted basic forms found in nature can create beautiful compositions that turn your walls into works of art. Where did I find that cardboard lamp? Oh, you love this wool rug? They’re environmentally friendly too! There’s nothing more impressive than decorating an interior with Mother Earth in mind. 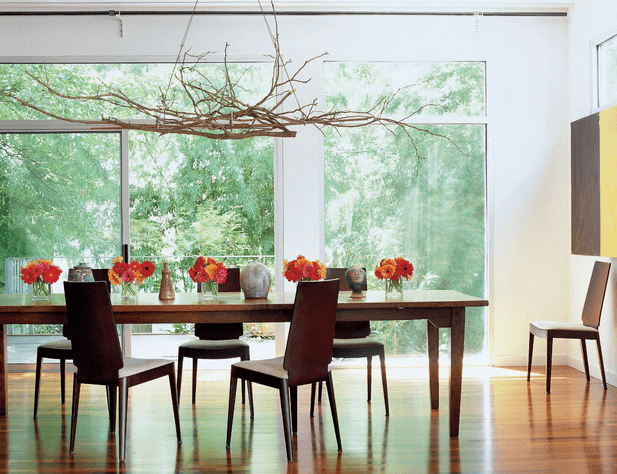 Being able to stylize your space while being sustainable is gorgeous design practice. Truly unique spaces are those that are personalized. Using art, photography, and family heirlooms are some simple ways to have your interior stand apart. Rebecca Peragine of Children Inspire Design created the My Roots collection, a sweet line of country maps that creatively and thoughtfully decorate kids’ rooms around the world. Color palettes are bending the rules. If neutrals have become too tame for you, choose colors that move you. Chances are your guests will love them too. Having a unique or bespoke piece within a furniture plan can draw the eye to a space. South African blogger, Miss Moss inspires in this area via her showcase of Moving Mountains furniture. Incredible design that is sure to make jaws drop. Art can set the color palette and mood of an interior. Properly placed in a room it can act as a focal point where guests’ views are happy to rest on. 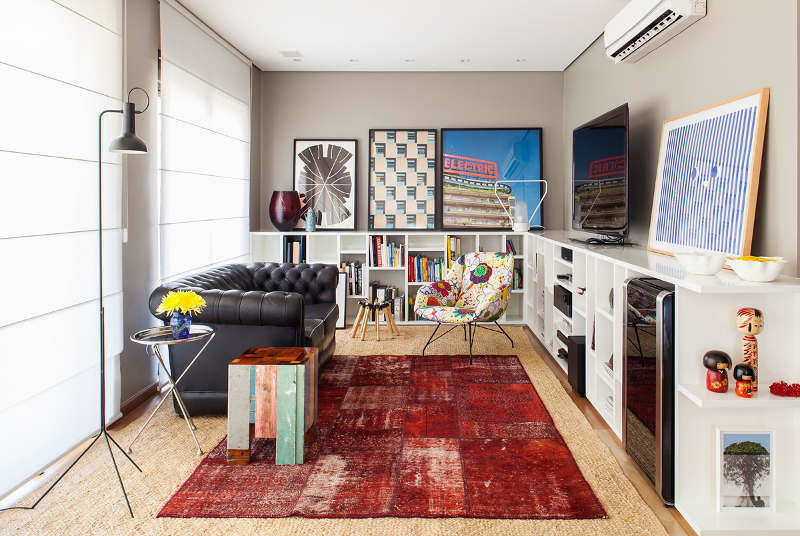 Or, it can be a riot of color and pattern that energizes and excites. Plants are nature’s accessory that add life to a space and make it feel lived in. Place an attractive rubber tree in a sunny corner, a draping pot of English Ivy over a bookshelf, or a row of succulents in the kitchen window; whichever interior plant selected can bring a splash of verdant color that enhances any room. 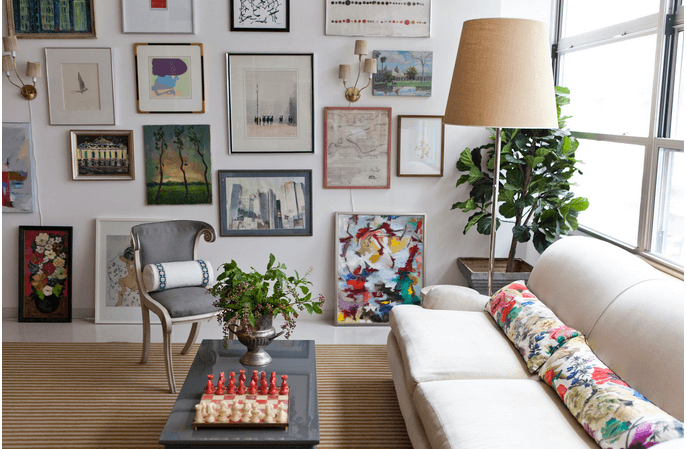 Imagine photographer, Nicole Franzen’s, home without the potted green accents throughout her gorgeous space. They really add a special quality to a space. Pinterest is an addictive eye candy store. Following pinners who offer interior design tips like Simplified Bee can help keep your home ideas fresh. To help you find your style and learn about hot design trends check out these boards too. Written by Christine Martin, Decorilla’s design expert. Wondering how to create a comfortable and beautiful interior by mixing your own items with fresh pieces? Looking to eliminate the tiring trial-and-error experience when designing a room? Start a decorating project and have Decorilla’s designers offer you multiple design concepts.